This is a rather exciting post for me to write. I was very fortunate enough to be nominated for The Liebster Award by not one but two lovely bloggers. So I’d like to say a huge thank you to Rosie from Everything’s Looking Rosie and Erin from Bitchin’ Blonde. I love both of their blogs (and definitely recommend you check them out if you haven’t already), so I was extremely flattered and I couldn’t be more grateful to them both. 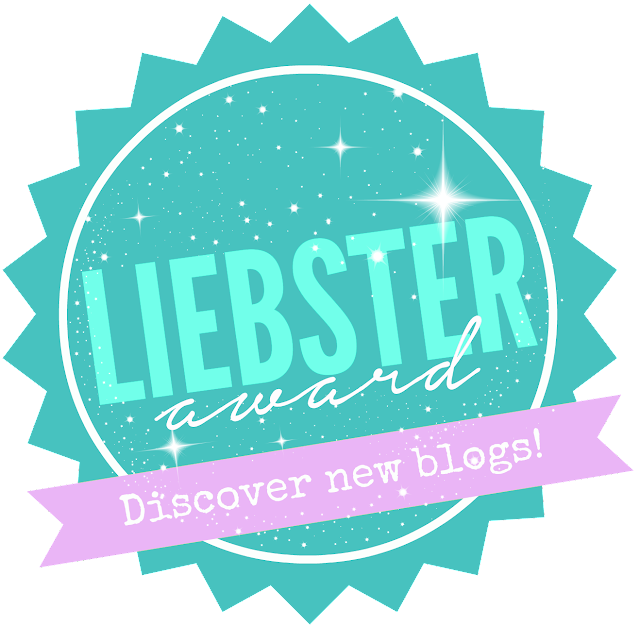 The Liebster Award is given by bloggers to other new bloggers. It’s a way to recognise and promote other new blogs and the people behind them. The fact it has come from other bloggers is what I find most special about it and makes me even more appreciative. It means other bloggers whose work I love have recognised me and enjoy reading my blog enough to think of me for this award, and that means the world to me! Plus it’s a great, fun way for you all to get to know more about me. As I was nominated by both Rosie and Erin I wasn’t sure whose questions to answer, but as Rosie nominated me first I thought I would answer hers. 1. How did you pick your blog’s name? I love this question, although my answer isn’t that interesting. It was actually my boyfriend who helped me come up with it. My blog previously had another name, but when I decided I wanted it to be a full on fashion and beauty blog I wanted to change it to something more appropriate. I had been struggling with it for a while when my boyfriend turned to me and said to call it Blossom. I added The Style to it and the domain was available! I just knew as soon as he said it that it was perfect. 2. Knowing what you know now, what advice would you give your 13-year-old self? To believe in yourself more. And to take better care of your skin and wear sun screen! 3. What are three make up items you could not live without? Black mascara, black liquid eyeliner, and some form of concealer or foundation. I don’t really have specific must haves as my current ones are kind of letting me down at the moment and I’m searching for better ones. But in a general sense I think they would be my biggies. 4. Describe yourself in three words? Optimistic, Determined, and Kind (I hope). Movies my boyfriend makes me watch and I moan about but actually end up getting hooked and loving them. Most notably Star Wars and pretty much any corny 80s action movie. 6. What’s your favourite post that you’ve written? I tried so hard to choose a favourite post but I just couldn’t do it. It would definitely be an outfit post though as they’re always my favourite and the ones that come easiest to me. I’m very grateful that I was asked this question as it’s actually not something I’ve ever thought about. I’ve only been blogging for a few months, but it was interesting for me to go back through my old posts and having to try and choose a favourite. Quite eye opening for me. 7. What’s your favourite make up brand? I absolutely love both Mac and Chanel and they are definitely my 2 favourites. If I had to pick just one it would probably have to be Mac as I use a lot more from them. Chanel is always such amazing quality and classic though. 8. If you could visit anywhere in the world, where would you go? There are so many places I would love the opportunity to visit. But the top of my list has to be New York. I was actually supposed to go for my 21st birthday, but I suddenly became disabled and confined to bed with my fibromyalgia a few months before I was scheduled to go and unfortunately wasn’t able to. I was heartbroken. I’ve dreamed not just of visiting but of one day living there my entire life. The whole trip was booked and we even had amazing seats to watch Wicked on Broadway at the Gershwin Theatre. Hopefully one day I’ll have chance to finally go. 9. What’s your signature dish? I’m quite good at cooking and baking different things. But I think I’d say fairy cakes. I made them all the time when I was very young with my Grandma and I’ve always continued to make them once I was old enough to bake on my own. The problem is that I always want to immediately eat them all and have to refrain myself and save some for other people. I last made them a couple of weeks ago for Valentine’s Day. “If you can’t say something nice, don’t say nothing at all”. Thumper says it in Bambi and it always stuck with me. I say it all the time and try to live by it. There’s no need for meanness or nastiness. People who don’t have their dogs on leads! It drives me mad and I could rant all day about it. I have a Chihuahua and there have been several very dangerous close calls where big dogs not on leads in residential areas have tried to attack her. She’s been absolutely terrified so many times and she’s now too scared of other dogs. What’s worse is their owners don’t even care, like it’s fine for my baby to be chewed up like a piece of meat by their dog. Makes me very, very angry! 1. When I was a young teenager I had a horse. 2. I’m a massive Marilyn Monroe fan. 3. I don’t wear hair extensions. I get asked that question so often so thought I’d answer it now. I used to years ago and couldn’t go a day without them. I could actually do with them still for volume as I have very fine hair, but any extra weight or pressure on my head causes awful headaches and migraines so I can’t. 4. I love Disney. Disneyworld in Florida is my favourite place in the entire world, and I could watch Disney movies all day long, especially the Princess ones. 5. I have the biggest sweet tooth you could ever imagine. I consume an unhealthy amount of sugar. 8. I’m quite clumsy. I’m always walking into random things, dropping stuff and spilling my drinks. 9. I love Lady Gaga. 10. I’m terrified of spiders. 11. I absolutely love movies. I have so many favourites but my top 3 are Clueless, Breakfast at Tiffany’s and Gentlemen Prefer Blondes. 2. What was the last song you couldn’t get out of your head? 3. If you could collaborate or work with any brand, who would it be and why? 5. Who was the first person you told that you were going to/had started your blog? 6. If you could meet anyone in the world, living or dead, who would it be and why? 11. What has surprised you most about blogging? If you decide to participate I look forward to reading your answers and finding out more about each of you lovelies. I hope you’ve enjoyed reading this post and finding out a bit more about me. Thank you again to Rosie and Erin for nominating me! I had already done that tag on my old blog and nobody has answered my questions XD. I answer here because I will not write a blog post on this tag I think. 2. Sorry by Justin Bieber. 3. Chanel (clothing), Urban decay, MAC cosmetics because I love this brands. 4. I searched for a moment and I have not found a trend that I really like right now. 5. The first person I told I had a blog was my sister. 6. I'd really like to meet Harry Styles because I like one direction & Harry Styles is my favorite member (although he's ugly now XD). 7. My first outfit post it's my favorite because it was the first of its kind and because I miss my long hair haha. 8. I have no particular style, if I like a piece of clothing I wear it. 9. I can't live without my Stay Matt powder from Rimmel ! 10. Without hesitation : Damon Salvatore is my favourite fictional character. 11. Sponsored posts where bloggers do not give their true opinion on products. Ohh thank you so much for sharing this, such an interesting read, and girl, we have so many things in common! We have the same favourite make-up brands, make-up must-haves, favourite movies and I'm the clumsiest person in the world I think,haha! So nice to read this post and discover so many new things! Love the name idea and yay for a great and helpful boyfriend! Well done! This is a fab post and nice to get to you know you a bit more!